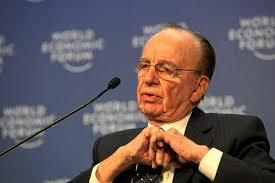 Powerful media mogul Rupert Murdoch has urged the US to tackle immigration reform. He claims abolishing quotas on special visas and promoting immigrants to gain citizenship would boost innovation and growth. Murdoch is also actively in favor of immigration reform in his home country of Australia. He has pressed the issue with the belief that looser border control both there and in the US would help to improve trade relations. He’s not alone in this thinking. He’s joining a collection of reform advocates who are all too aware some may be avoiding the issue in the run-up to November’s congressional election. Especially after the shocking defeat of House Republican Eric Cantor. Cantor was labeled “too eager” to strike a compromise with the Democrats. Democrat US President Barack Obama is heavily in favor of the proposed new immigration laws. This would create a way for around 11 million undocumented residents to gain citizenship. It’s a nice thought for some. But a recently-passed bill via the Senate has been stopped in its path by the House of Representatives. The clash is obviously halting any progress with the bill. But Murdoch has argued in favor of providing non-criminals currently living in the US with a way to gain citizenship. This would be by removing the need for a H1-B visa for foreign workers who are highly skilled. This would be teamed with strengthening border security. The mogul gestured to a study conducted by the Partnership for a New American Economy (a group he is a member of) that mainly consists of business executives and mayors. It states over 40 per cent of Fortune 500 companies were founded by either immigrants or children of immigrants. Quite a convincing case, don’t you think? Murdoch called Obama wise for holding back on taking firmer action over the proposed change, with hopes to resolve it with a more bipartisan solution. “However, if Congress fails to even try to have this important debate, the president might feel tempted to act via executive order,” Murdoch said. All of Visaplace’s cases are handled by independent, licensed and award winning Canadian and U.S. lawyers who adhere to the highest standards of client service. If you wish to immigrate to the United States, we may be able to help. We work with qualified immigration lawyers who can help. Contact us to book a consultation.